Home / Blog / HowTos / How Much Does Dental Clinic Website Design and Development Cost? How Much Does Dental Clinic Website Design and Development Cost? Despite of the fact that tooth enamel is the hardest substance in the human body, most people require constant help with their teeth. Moreover, dentistry is one of the most popular and expensive medical fields all over the world. Dentists are always considered to be prosperous people and businesses. It may seem they don’t require extensive advertising or PR activities as the better specialist you are the more clients you have. Still, the demands of the modern life make it impossible to work and develop any medical business without up-to-date dental website. It is not a myth that clients feel more comfortable to set an appointment, to check the working hours, address, to view the services and pricelist online than to call and clarify everything over the phone or alive. In May 2016 our sales team received the request on estimation of custom website design and development for a dental company operating in New Jersey. The client also wanted to get a quote for a modern website design that would include HTML5 parallax effect. In order to provide the proper estimation and understand how much time our experts and project manager require for providing custom services, our account manager had to clarify all the information about the dental clinic old website and find out all the requirements for the new project. According to the requirements, the client needed custom WordPress theme design with parallax effect, further PSD to WordPress slicing, migration from PHP to WordPress and final QA testing (the latter was offered by us as a bonus). They had custom PHP website but wanted to change it to modern impressive design and convenient CMS system for them to manage content easily in admin panel. Having agreed the estimation and received the go ahead signal from the customer, we started to work on the custom dental clinics design, concepts, and mock-ups for their approval. Still, this is a subject for another story that we will come up with in a while. 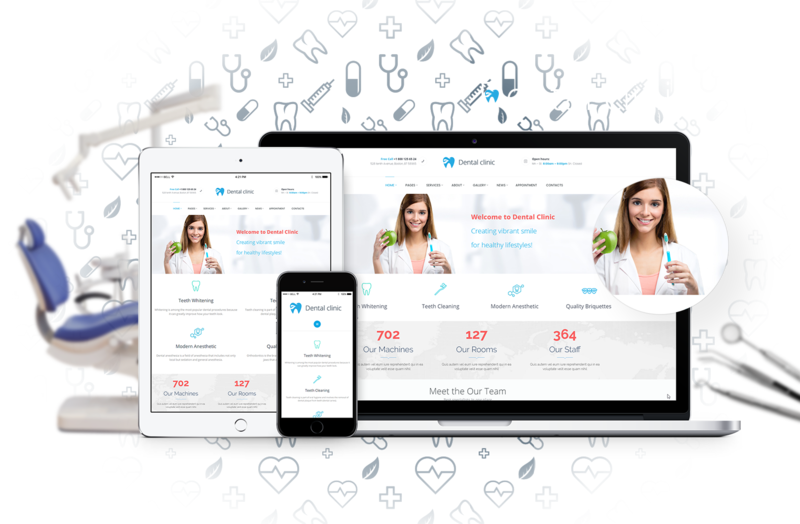 It is high time to get in touch with us and get the estimation for your dental clinic website. If you are interested in ordering custom dental website design, development, or any other services, contact our sales team to check and receive the proper estimates. We will be glad to answer any of the questions that may arise and will provide the technical consultation if you are not sure what technologies or CMS you want to use. Does this offer seem to be not affordable for you? Let us know about your worries and we will be able to offer more low-cost quote within your budget. 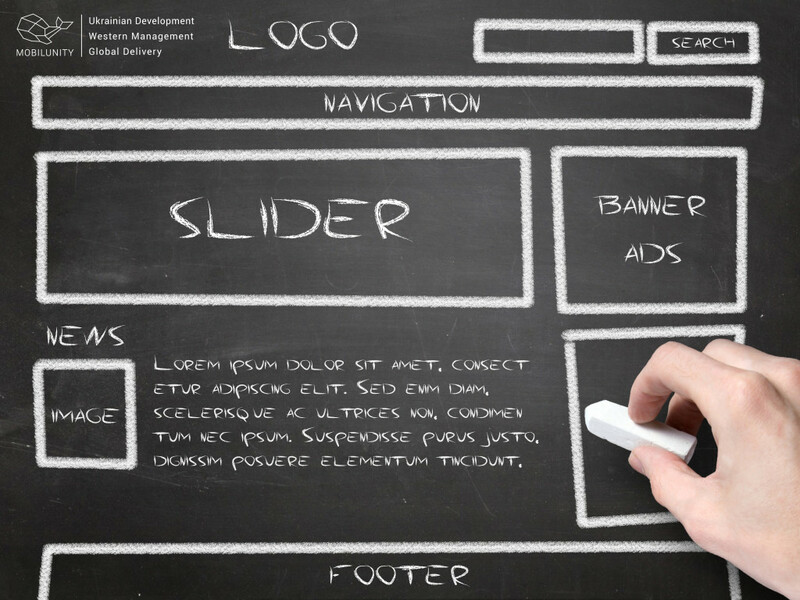 We may work on either of the services (design or development), use a high-quality ready template, or remove some of the functionality instead of providing custom WordPress web design and development. You will see that the difference is significant! Our portfolio is really rich. As an example have a look at our best car rental website design too. Let our professional dental website designer or developer make your business dream come true at any cost!